I’m going to tell you about someplace special. But we should probably start with the downsides. First, unless you are one of the approximately 11 people who live in Wilcox, Arizona, you will drive an uncomfortable number of hours to get here. Second, it is close to the U.S./Mexico border, frequently used by smugglers, and it shows. Third, it is hot here in the summer, cold in the winter, and unpredictable every other time. So, in summary, you are going to have to leave early in the morning, be prepared for real danger, and know for a fact that you will either be cold or hot. 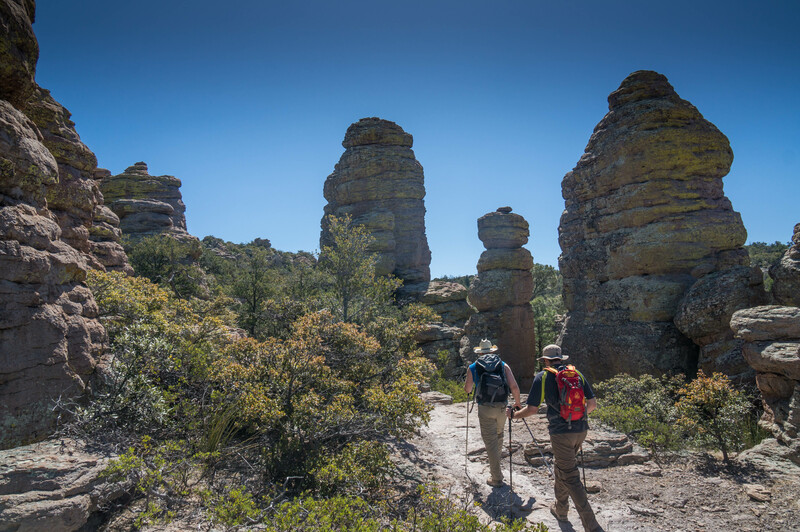 But, if you can deal with all that, the Big Loop at Chirichaua National Monument is the hike you should take this weekend. On Saturday, Golab, Curry, and I and just such a thought. We crammed in the mighty Subaru at 3:30AM and took of for the Monument, arriving at the Massai Point Trailhead around 8:00. 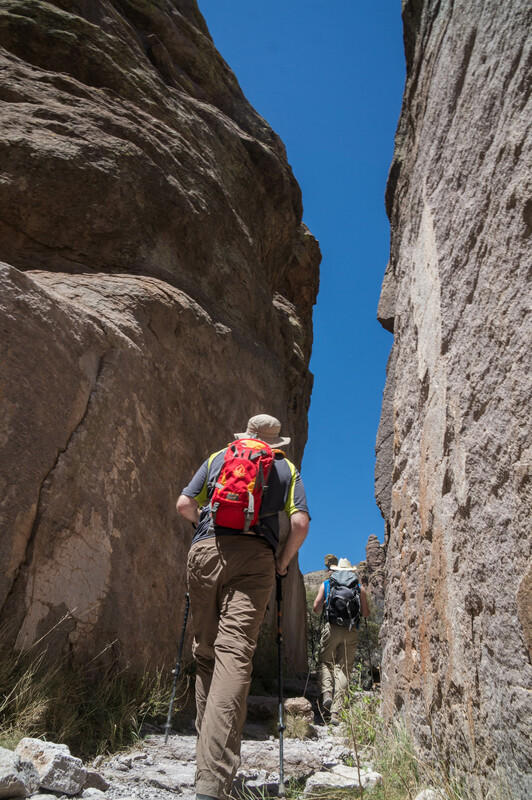 The Ed Riggs Trail takes you from here, immediately descending to the floor of Hunt Canyon. 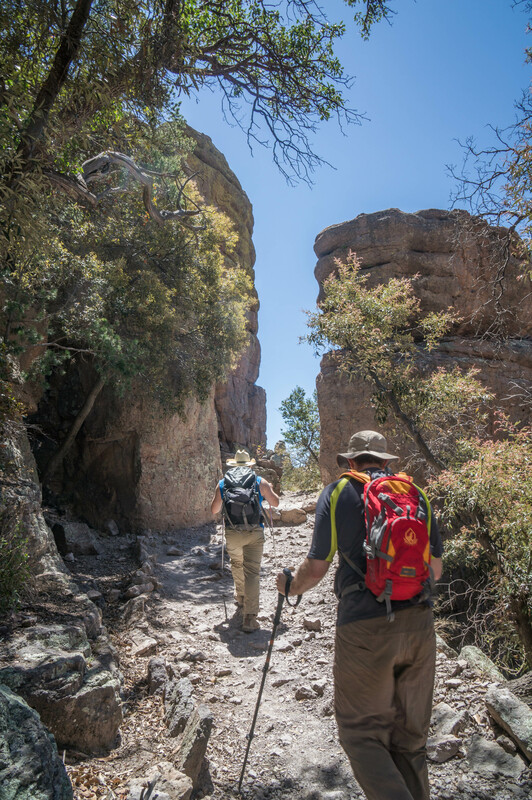 Take a left on the Mushroom Rock Trail (towards, you guessed it, Mushroom Rock), and you will begin a your slow ascent out of the canyon. For the first part of the morning we saw no one. Of course, the solitude came with some positives and negatives. With the trail to ourselves, no one could make fun of our embarrassingly slow pace. Even better, we didn’t run into a single Ray Ban wearing dude-bro until turning left onto the Big Balanced Rock Trail. However, especially along the southern edge of the trail, there were a lot of spur paths diving off to the south towards Mexico. One thing was clear: if you are going to spend a ton of time here, especially in the dark, you probably want to keep you head on straight. So far, we had been impressed, but not blown away by the scenery. 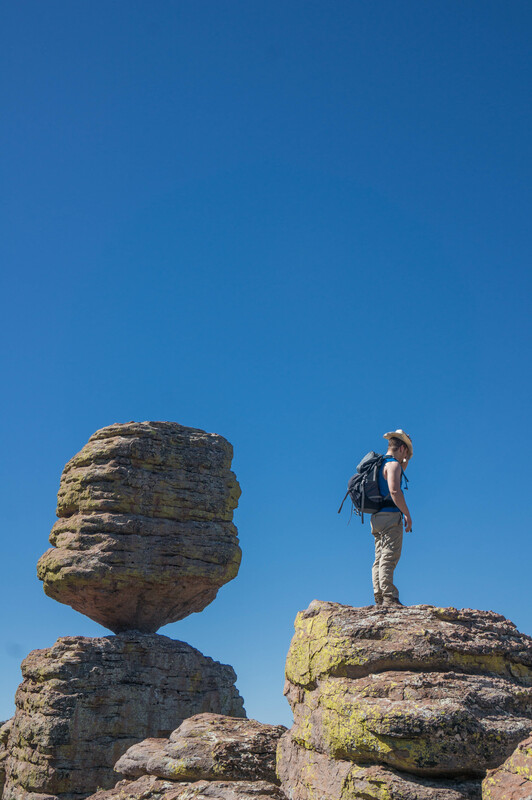 That all changed once we hit Big Balanced Rock. Spoiler Alert: it is big and balanced. Turning right onto the Heart of Rocks Loop the trail grew far more difficult, but far more rewarding. Created by the erosion of an old volcano, the number of hoodoos were almost impossible to believe. Stretching as high as 100 ft in some places, the Heart of Rocks felt like walking through granite down town. One small pro-tip though, this trail is best taken COUNTER-CLOCKWISE. Trust me, you’ll understand when you do it. Formations throughout the area are named for what they look like. Our universal favorite was Duck on a Rock (It is so wonderfully perfect I didn’t even take a picture. You have to go see it yourself), but other highlights include Punch and Judy, Kissing Rocks, and Old Maid. It is also probably worth noting that there is some really interesting history in this area. 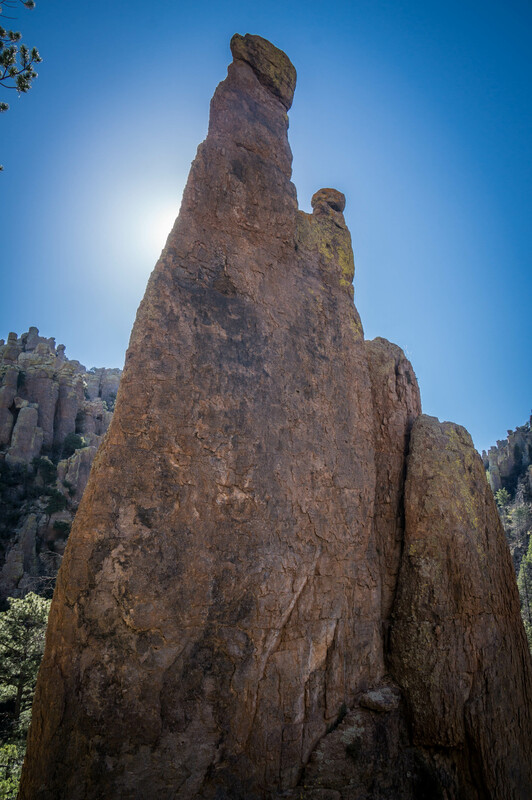 Like almost all of Arizona history, the story of The Chirichua Apache, most famously lead by Cochise and Geronimo, is almost too amazing to believe. 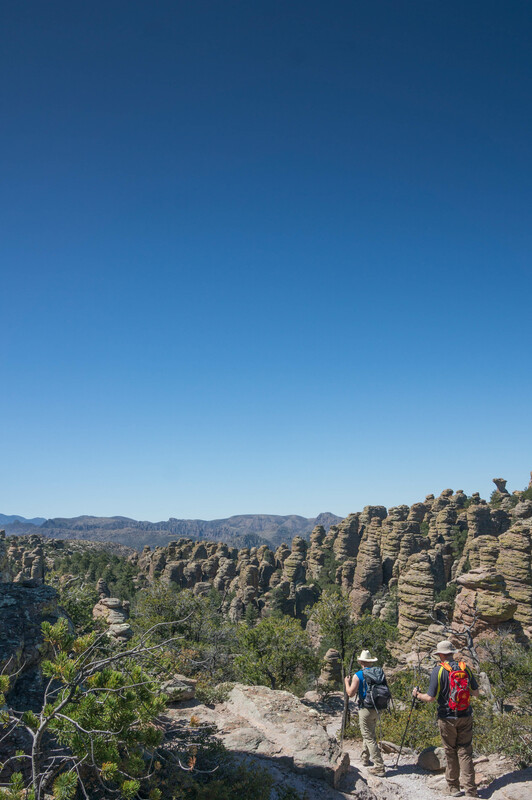 Using the Heart of Rocks and nearby Dragoon Mountains to hide from and fight the U.S. and Mexican Militaries for decades, the Chirichua managed some level of resistance for nearly 100 years. The conflict can’t be simply summed up here, but ten minutes in Heart of Rocks and you will leave you impossibly impressed with the Apache who made a living here. 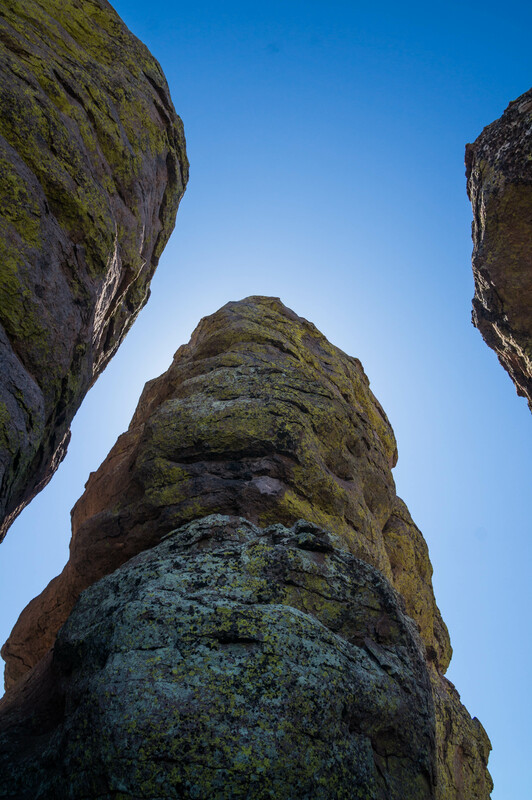 To the young easterners who were trying to capture these brilliant and determined tacticians, the maze of hoodoos making up Heart of Rocks core must have seemed like an impossibly daunting nightmare of a place. But back to the hike. 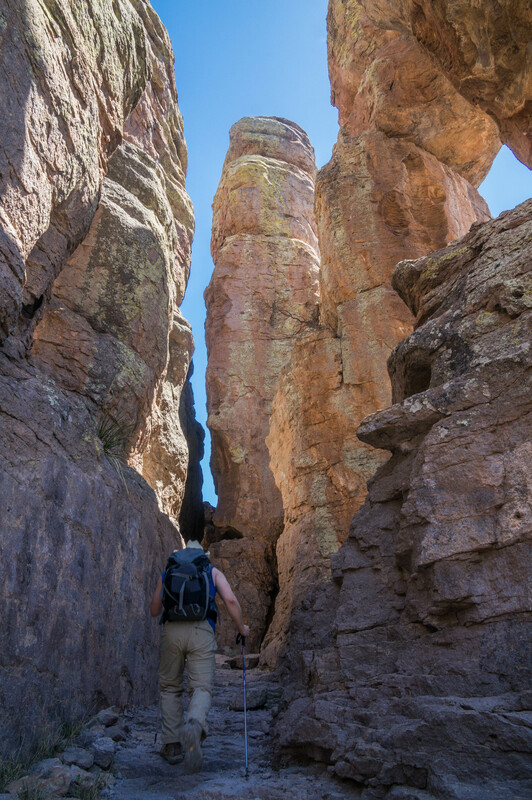 From Heart of Rocks head to the right down a long descent to the canyon floor along the Sarah Deming trail. At the bottom, turn right up the Upper Rhyolite Trail, and if you day is anything like ours, begin to see the throngs of people who are hiking the entirely downhill shuttle hike towards the visitor center. These hikers were pretty loud and very green. Thus, is the double edge of hiking in a national monument: always beautiful, but almost always crowded. Regardless, as much as I like a lonely empty trail, you’ll never hear me argue that having more people outside is a bad thing. I have no idea what Hallstone is like, but I can’t really imagine that it is as good. 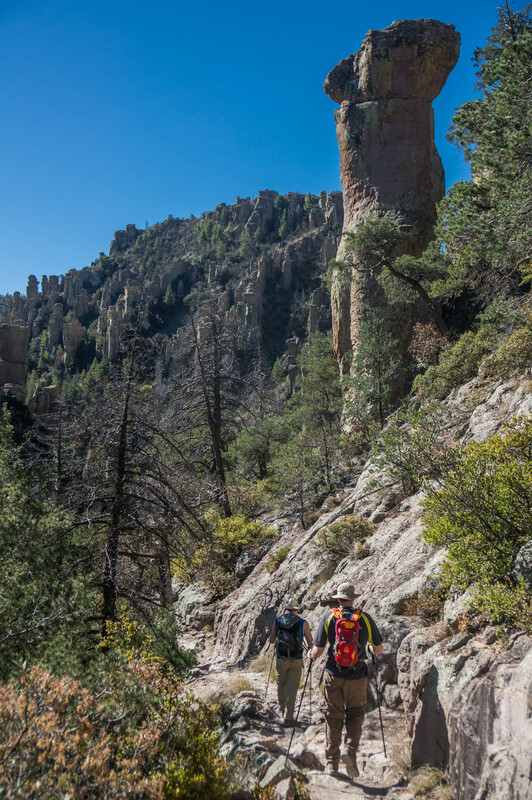 At the end of the day, Chiricahua National Monument has something for every type of hiker. Steep hills. Amazing scenery. History. Sections with solitude, and sections with lots of people. Getting there is a hassle, but the good things in life are almost never easy. What a stunning scenery, very different from the hikes we do here in the Rockies. 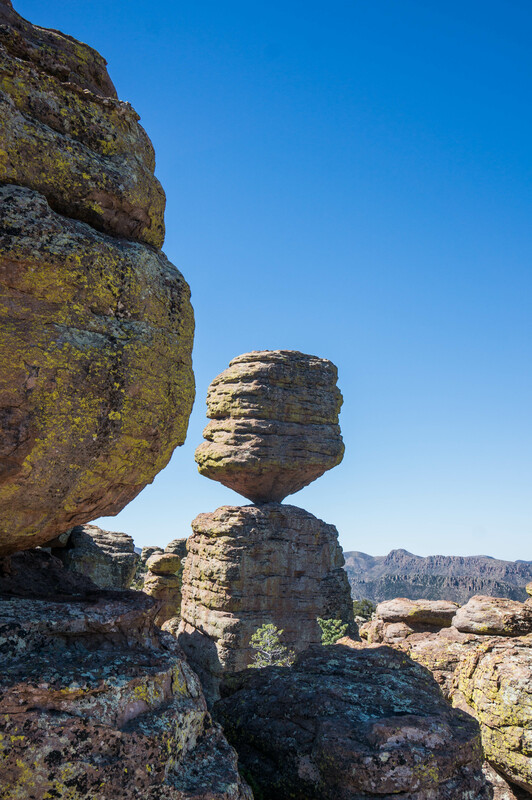 Enjoyed this post a lot:) The big balanced rock is definitely an impressive piece of art by mother nature. Hey – What’s wrong without the Ray Ban wearing dude-bros? 🙂 Great hike! Thanks! Its a unique place even compared to what I usually see. And I guess I am maybe a litttttttle hard on dudes in raybans.